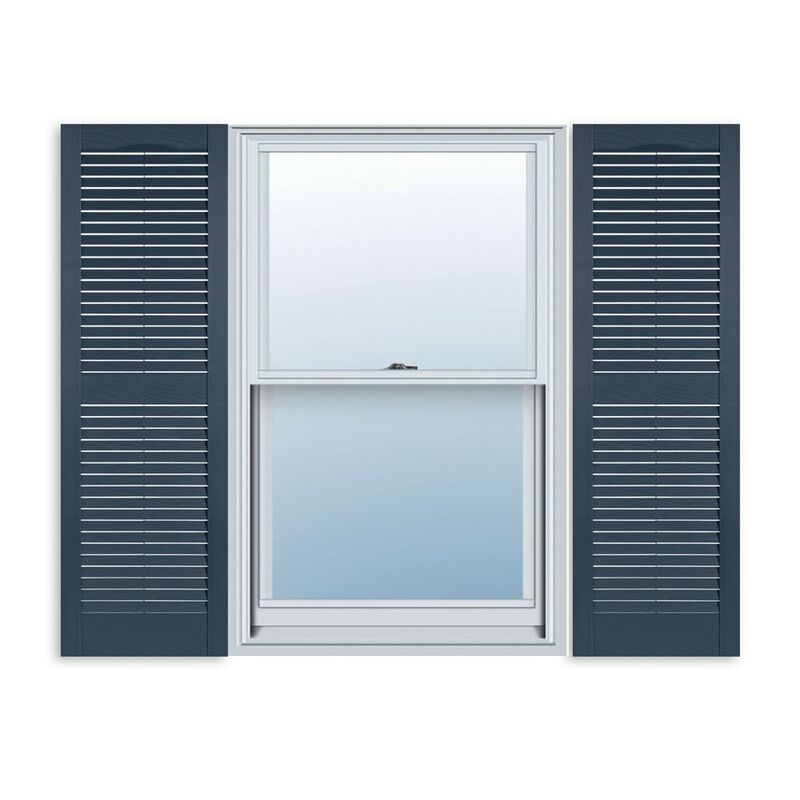 Exterior Solutions Standard Louver Exterior Vinyl Window Shutters Louver / Bedford Blue / 15" x 63"
Louver / Bedford Blue / 15" x 63"
Placing exterior vinyl shutters on your home is an affordable and efficient way to give your home a more finished look, while increasing its value. Our standard vinyl shutters are made from an injection molded process using a high quality vinyl great for exterior use. Our vinyl shutters included UV-additives that protect from fading and ensures our product is weather resistant, long lasting, and maintenance free. Vinyl shutters are 1" deep and are hollow and open in the back making them lightweight and easy to install. Our shutters are molded in one piece so there is nothing that can split apart and the color is molded through the vinyl material so it will never flake or crack. NOTE: Please order the "paintable" option if planning to paint.